Kita Nekai, on the run and the smallest of her shifter clan-a calico cat among lions and tigers-is being hunted. She was expected to accept her role as her father's successor whether or not her cat was up to the task of leading the clan. She disagreed. Now she's less than a step ahead of the hunters, bone-tired, cold, and living hand-to-mouth in the city of Haven. Starts slow but an excellent listen. Fun series that gets better with each book! Dorina Basarab is a dhampir - half-human, half-vampire. Subject to uncontrollable rages, most dhampirs live very short, very violent lives. So far Dory has managed to maintain her sanity by unleashing her anger on those demons and vampires who deserve killing. Now Dory's vampire father has come back into her life. Her uncle Dracula (yes, the Dracula), infamous even among vampires for his cruelty and murderous ways, has escaped his prison. Not even death can save her now. As a grave witch, Alex Craft can speak to the dead---she's even on good terms with Death himself. As a consultant for the police, she's seen a lot of dark magic, but nothing has prepared her for her latest case. When she's raising a "shade" involved in a high-profile murder, it attacks her, and then someone makes an attempt on her life. 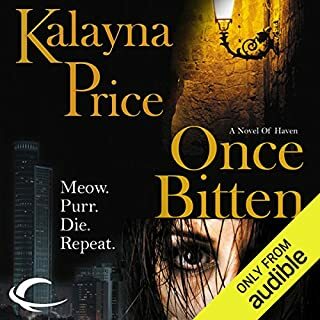 Someone really doesn't want her to know what the dead have to say, and she'll have to work with mysterious homicide detective Falin Andrews to figure out why. The story was way better when i read it than it was trying to listen to it. The narrator was like a text to speech reader. Most of the emphasis was poorly applied which made it sound like it was cobbled together from individually recorded words. Aside from that the story was quite good i will definitely get the next book but i think i will read it myself rather than torture myself listening to a female Will Shatner read it to me. 4/5 for the actual book 1/5 for the audio attempt. This book got off to a very slow start, rather awkward like it was the 2nd or 3rd book in a series and we were already supposed to know this world. After the first few chapters the story picked up and the characters started getting interesting. It even got interesting enough to make up for a very unfortunate choice of narrator. I have trouble empathizing with the heroine when I can't stand the narrator's voice. I agree with everyone else who said the narrator was horrible. She had absolutely no passion in her voice, as others said like a female William Shatner. I am always on the lookout for a good paranormal/ urban fantasy series to start and of course there is a general overlap in theme with so many books out there. But this character definitely lacks originaIity to the point I think plagarism. I have been listening to Kim Harrison's Rachel Morgan series. 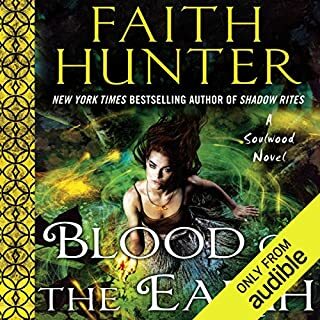 Besides the slow start to this book the first thing that struck me was how a like this character was to Rachel Morgan with a touch of Laurell K Hamilton's Anita Blake with the whole power over the dead standing over a grave thing. Rachel and Alex are both witches that turn out to be half breeds although it was a secret. They both start off broke and slightly whiny. They wind up with a sidekick. They even use the same abbreviation for a gov't agency: FIB. I give it 2 stars because if Kim Harrison hadn't been out for probably more than a dozen years, this story would have been enjoyable enough for 3 stars. I don't usually leave reviews but this book pushed me into action. I'm not sure which was worse the unemotional narrator or the unoriginal story. Not happy to have wasted my money! 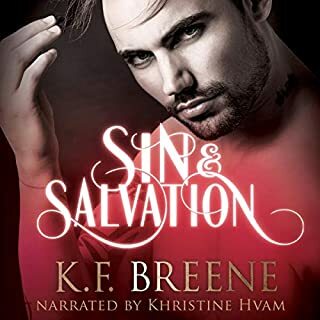 When I first started listening it sounded like I had my Kindle on text to speech the narrator was so bad. The story seemd a rip off of all the other paranormal stories mashed together: A magic working women trying to make a go of it and barely scraping by, friends she is always having to protect or worry over because they were hurt because of her yada yada yada blah! Man, I can;t seem to get into this no matter how many times I listen to the same chapter over and over. I love this type of book, but this narrator is AWFUL. She. Speaks. Like. They. Recorded. Every. Word. Separately. And Then. Pasted. Them Together. She is like what would happen if William Shatner read it but totally devoid of any emotion and in a monotone voice. Such a waste of a credit. So this Alex Craft series was recommended by the app because of my reading history. And I can see why! 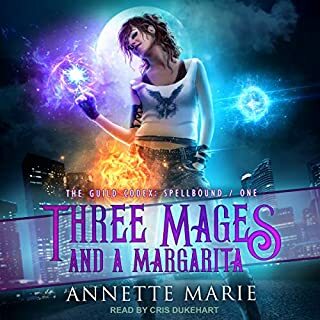 The lead character can interact with ghost and has a FAE friend that teaches her the dies and don't of FAE culture, both similar to the Mercy Thompson series. She can raise "Shades" from the dead that cannot lie. She is paid to do so which is exactly like Anita Blake. She ends up helping a ghost who she uses as a sidekick, which is exactly like the Charlie Davidson series. There is a an agency that sounds much like PhyLed in the Jane Yellowrock series. She stores magic in an obsidian ring like Gin Blanco. Throughout the book I kept saying to myself, "This sounds so familiar". As for the first book, I found it entertaining. Alex Craft is a relatable character as far as her personality. She isn't perfect and stumbles into some trouble both intentionally and unintentionally. There is a potential for a good love triangle between two bad guys. Hopefully she adds some twist into that part of the story as love triangles seem to be popular right now. I was completely underwhelmed by the climax and it's build up. Once Alex Craft comes face to face with the bad guy there was a lot of talking and not enough fighting. Once the "fighting" began it was an easy win. Plus I'm not a fan of everyone involved being unscathed in the end. Battles don't work that way. This book came very close too that kind of ending, there is some slight suspense that saved it from that blah type of ending. This book reminded me of Dresden series for the main plot(mystery) and Wizard of the Glove for the relationship between the main character and Death. Usually the mystery plots in this kind of UF's tend to be wishy-washy and weak,but this book kept me guessing the most of the time and made the reading fast and enjoyable. Although the author gives a satisfying ending for this book, there are more threads to be explore in this world. I am looking forward to reading more! Don't know if it is the narrator or not. The story was slow to begin with but I have to say I believe the story had possibility but I could not get pass the way the story was being read. Grave Witch is a well rounded paranormal novel. It has fresh ideas among the paranormal genre and has good paced action. Looking forward to more of this series. The story is good but could have been better. The narrator is just plain awful.